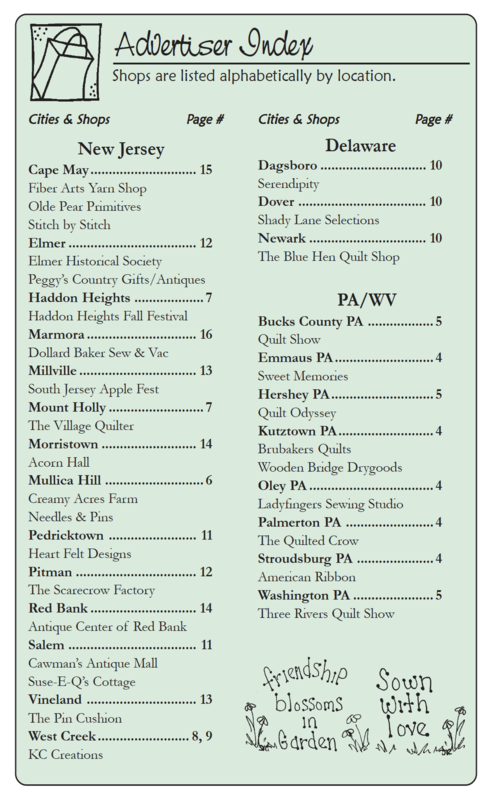 Following is a list of current advertisers in The Country Register of Delaware & New Jersey. Please remember to thank the advertisers you patronize for bringing you this FREE publication. You can pick up a FREE copy of The Country Register in any of our advertiser's shops. You can also read our latest issue online! Click on the advertiser's shop or business name to be taken to their website or Facebook page. If you are a current advertiser and your link is not active in our advertiser listing please email us your link and we'll be more than happy to add it.